If you are looking to buy the latest and greatest Kindle Paperwhite, it will cost you £169. 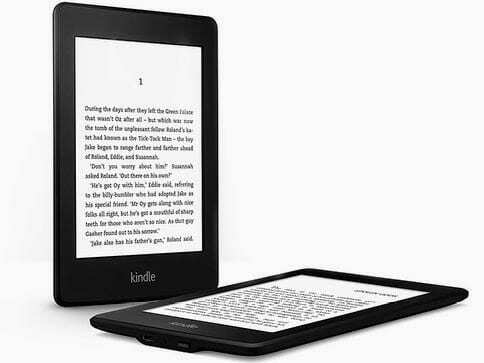 If that’s above your budget, why not get a certified refurbished Kindle Paperwhite which will set you back only £89 (regular price for a certified refurbished Kindle is £ 134). 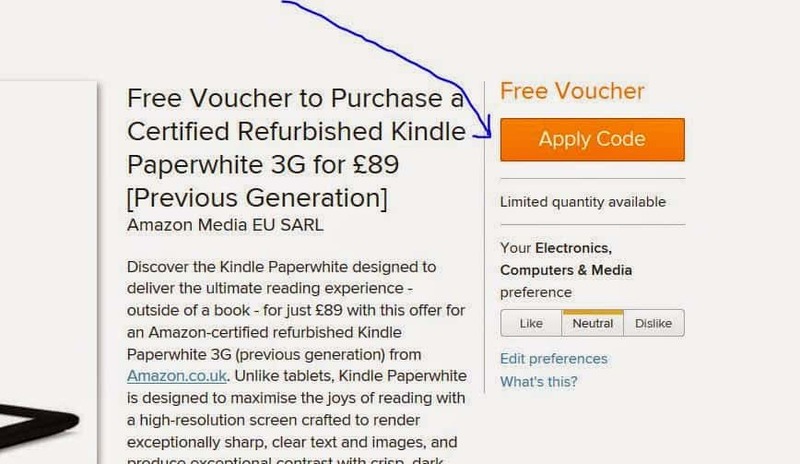 If you are interested to buy one of certified refurbished Kindles , check out the below steps, and you’ll save a whopping £45 by applying for a free voucher, bringing the price down to just £89! Click on the “Apply Code” Button and wait till you have received confirmation that the voucher has been applied to your account. Redemption instructions: This voucher will be automatically applied to your Amazon.co.uk account at order checkout. Please do not place your order until you have received an e-mail from Amazon Local confirming that your voucher has been applied. The credit may not apply to orders placed on Amazon.co.uk prior to the receipt of this confirmation. Customer will be responsible for payment to Amazon EU SARL of the final order total after discount. Validity period: Voucher will expire if not used by 11:59pm on 5th November 2014. Offer valid while supplies last.